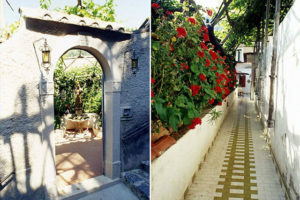 Are you looking for a hotel residence in Amalfi? Booking a residence apartment is a good way to save money. This is the right way to freely live your trip. You are looking at the best place to spend your holiday, there is so much to discover in this land full of nature and history. In the surroundings of the Amalfi Coast there are many famous historical places we can recommend to visit, some of these are Naples, Pompeii or Caserta. If you book your residence here in Europa Hotel you will be free to move as you like among the Coast and beyond. In Minori, a town at the beginning of the Amalfi Coast, is the Hotel Europa. This is a quaint old hotel residence, the owners have a long experience in the hotel trade they started in 1970. Since then they have gained the trust of many tourists who come back every year to enjoy the sea and sun. The hotel residence Europa is based in Minori, 200 meters far from the beach. The apartments are a few steps from the road. In your own apartment you will find 3 bedrooms, 1 kitchen and 2 bathrooms. Moreover, the following comforts are included: gas and electric stoves, washing machine, ironing board, crockery and cutlery etc. Well, what do you think? To book now your holiday house clic here. Hotel residence Amalfi: the strengths of our hotel residence are the comforts and the reasonable low cost prices. During the years we have been able to get the most useful services for guests. All the services we offer to customers out of our facility, are by agreements/bookings. Do you want to reserve your place at a bathing lido? You can do it through our reception. Do you want to reserve an excursion or restaurant? Don’t you worry…Do you need a transfer to or from Naples? We’ll do it with a call. For more information you can have a look here if you like. From Salerno: take the tangenziale A3/E45 then the State Road namely the Strada Statale SS18, then the strada statale SS163 to Minori. From Naples: take the A3 to Vietri Sul Mare, then take the strada statale SS163 to Minori. From Rome: take the A1/E45/A3 to Vietri Sul Mare, then take the strada statale SS163 to Minori. Rheginna Minori, connected to the bigger town Rheginna Maiori. In 1954 there was a flood, this caused many damages to the Minori and Maiori towns. Since that moment both cities started a big work of reconstruction. Today Minori is called the “city of flavour” because of the Sal De Riso bakery, a well known artist in the world of cakes and desserts. Minori citizens are very proud of the Roman Villa which dates back to the 1st century B.C. This is a very beautiful and suggestive attraction, and a very important patrician villa. It is also a testimony of tourism since the Roman Era. There are many churches to visit (around ten), the Torre Paradiso (Heaven Tower), the Fonte dei Leoni (Lions fountain), the Monument to Saint Trofimena. 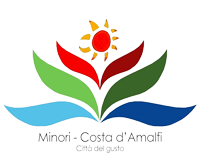 Do you want to know how to spend a day in Minori? Go to the beach in the morning, walk in the evening in the Roman Villa then try an amazing Sal Da Vinci dessert! If you chose this destination for your holiday, you already have an idea of the wonders it hides. This coast reaches up high to the mountains and from up above you can see the beauty of the clean waters, the archipelagos and the neighboring coasts. There are many towns, everyone with something special. So let us see which are the beautiful towns on the Amalfi Coast and the attractions. Here is our list of the best attractions in each single town. Depending on the days you will spend on the Amalfi Coast, you can split the trip. Anyway, you can visit each town in about an hour. There is also much more to visit also in the surroundings areas of the Amalfi Coast. The Sorrento Peninsula, the isles of Capri and Ischia, Salerno, Paestum and the Cilento coast, Caserta, Naples, Pompeii and Vesuvio. So what about this plan? Are you ready for your holiday on the Amalfi Coast? Hurry up and book your low cost holiday house in Hotel Residence Europa now! You only need to click the link in the paragraph named “Residence Hotel Europa Minori”. We thank you so much for visiting us and we wish you a very happy holiday on the Amalfi Coast.